After a lengthy wait, patients with autism or obstructive sleep apnea in Minnesota are now able to source medicinal marijuana products in the state. Minnesota Commissioner of Health announced a decision to add autism spectrum disorders and obstructive sleep apnea as new qualifying conditions for the state’s medical cannabis program back in November last year. However, these patients weren’t eligible to start enrolling in the program until July 1 and then had to wait until the beginning of this month to access medicines from the state’s two medical cannabis manufacturers. As with Minnesota’s other qualifying conditions, patients will need advance certification from a health care provider in the state who is registered and authorised to certify. Patients must be re-evaluated and re-certified by a health care practitioner each year. According to the most recently available stats from the Minnesota Department of Health, there have been 15794 approved patient enrolments to date (all conditions), with 11,250 currently active in the registry. 1,250 health care practitioners are registered and authorized to certify patients, and 1,229 caregivers are in the registry. Pain patients feature heavily in the program’s statistics, with 66% registered for intractable pain as at June 30, 2018. Back in March it was reported a survey of Minnesota pain patients found 61% indicated a high level of benefit from medicinal cannabis. 33% of all patients are in the 50-64 years age group,with the average age overall being 49.4 years. 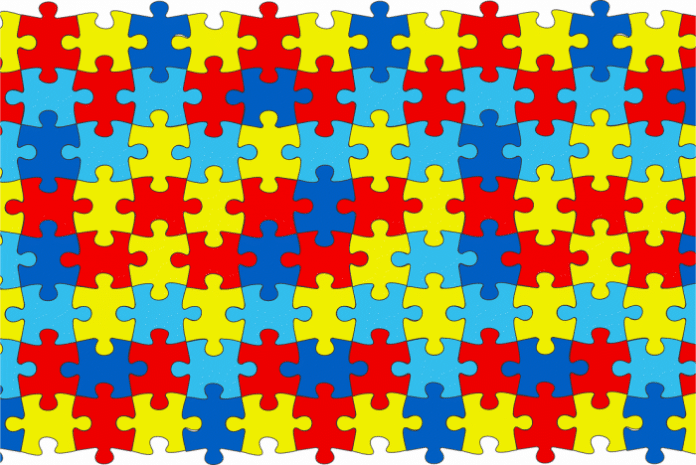 New qualifying conditions may be added to the program by petition – which is how sleep apnea and autism were added – and latest submission period closed just a few days ago. Among those submitted this round was a petition for Juvenile Rheumatoid Arthritis to be added. Seven panel members will meet to review the petitions and hear public comment. Also to be reviewed is a potential new method of medicine delivery – nasal administration. Currently, medical cannabis is provided to patients as a liquid, pill, topical or in forms of vaporized delivery method (vaping) that do not require the use of dried leaves or flower. 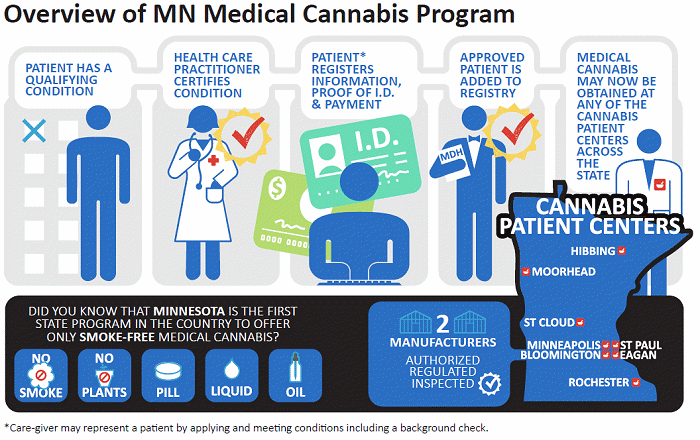 Minnesota’s medical cannabis program began distributing medicines to registered patients on July 1, 2015. More on the program can be found here.